White City Beach Hotel in Konakli has 113 rooms, spread over 6 floors. The hotel is located directly at the sandy beach. 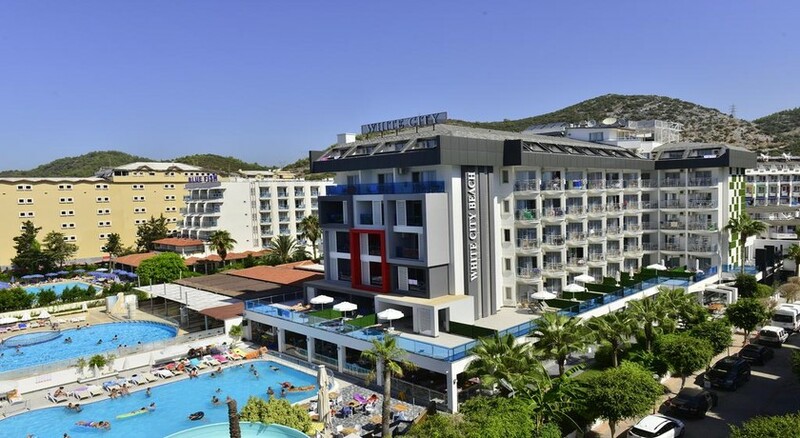 The closest cities to the hotel are Alanya (7 km) and Konakli (3 km). To make your stay more comfortable a coiffeur, a reception, a lobby, air conditioning and an elevator are available. The staff in this 6 storey hotel speaks English, German and Russian. Mobility on holiday is simplified through car rental. A playground for children is available. A fresh water swimming pool, seasonally open with a separate children's pool is available. Guests can unwind with a drink at the poolside bar. Sunshades and sunbeds are available free of charge at the beach and at the pool. Distance from the hotel to: airport GZP (57 km) and airport AYT (115 km). For your entertainment the hotel features a TV lounge. For convenience the following services are offered: medical care, room service, a safe, laundry service, maid service and ironing service. 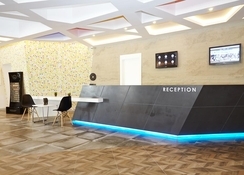 Internet access is provided at wifi-hotspots and in internet rooms. This family friendly hotel offers a children's pool and babysitting service to ensure a comfortable stay for parents as well as young guests. Reception hours: 24h Service. Activities such as billiards and table tennis are offered at the hotel. 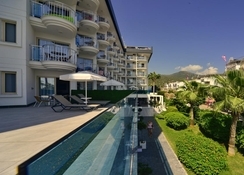 At White City Beach Hotel recreational amenities include a hamam. Guests who wish to be active on holiday can enjoy activities such as exercise in the fitness room.